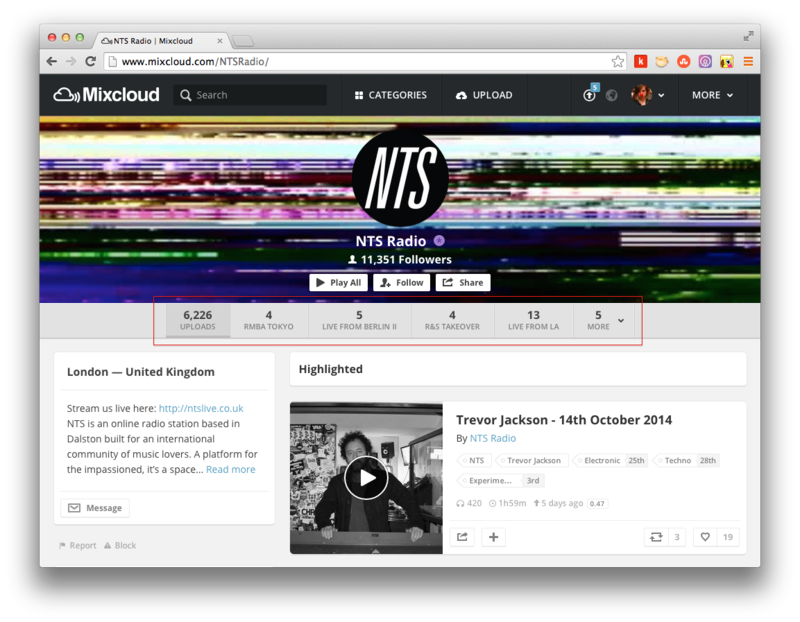 Introducing: Customised Profile Navigation – The global community for audio culture. The latest in our product updates is a feature that allows you to customise the navigation of your profile if you’re a Pro or Premium user. You can now change the default profile view as well as moving your playlists out of the dropdown. For example, you may want to highlight a selection of uploads on your front page, or draw your listeners’ attention to different groups of uploads, a mix series, or separate presenters on your radio station. You are now in control.